I wish more people would heed this – it would make my walk with Louise so much easier. And if I turn around and go the other way, it is not because I do not like you, it is because I have a reactive dog. Please do me a favor – don’t catch up to us. It is hard when I go to work as a therapy dog. 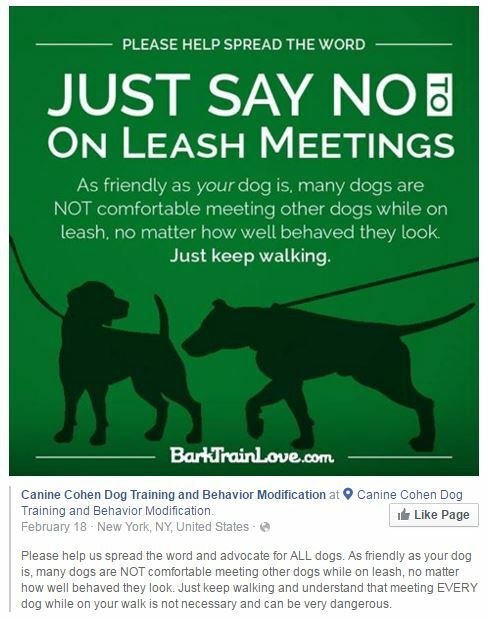 Momwithoutpaws has a friend that raises puppies for leader dog she told Momwithoutpaws to say “She does not socialize on the lead” there is a yellow ribbon movement because some dogs get scared and bite. We are aware of the Yellow ribbon. Training humans is a constant process, they don’t learn easily and need constant retraining. Louise and Sofie are great therapy dogs for me, but not for anyone else.I like your Mom’s leader dog friend – she is smart! the most people here see it the same way and we can say hell-o from the other side of the street too, we haven’t to greet each other nose to nose. That is so wise, Easy. Louise would like you after she got to know you. You seem like her kind of guy. Harley is so much better greeting other dogs off leash. I too wish other people would at least ask before approaching.